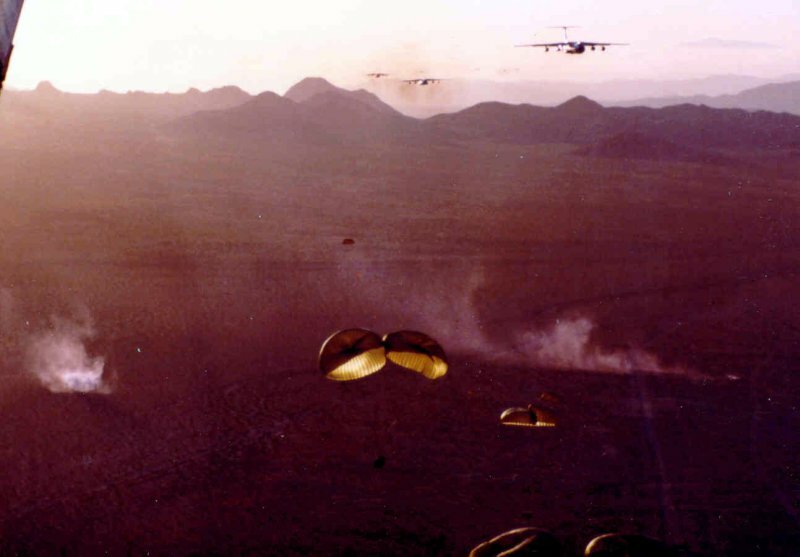 These are a series of pictures I took while flying as a C-141 airdrop loadmaster during GALLANT EAGLE 82. 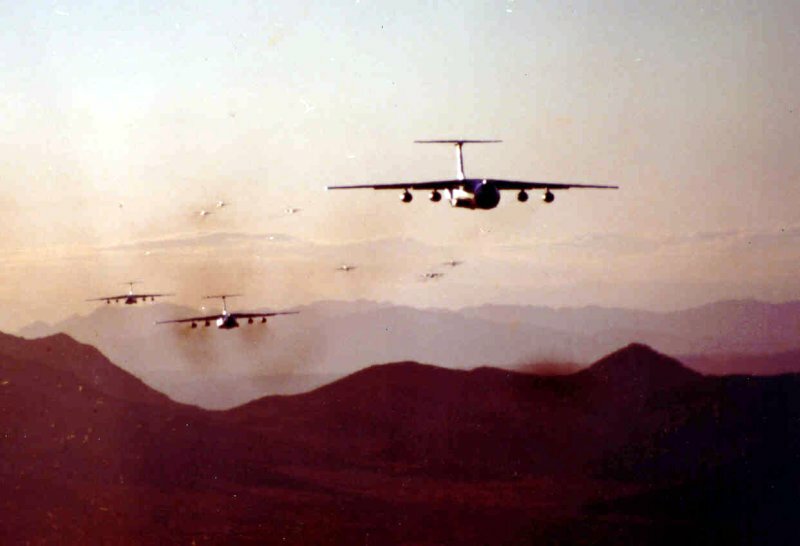 We had 60 C-141's and 30 C-130's in formation. 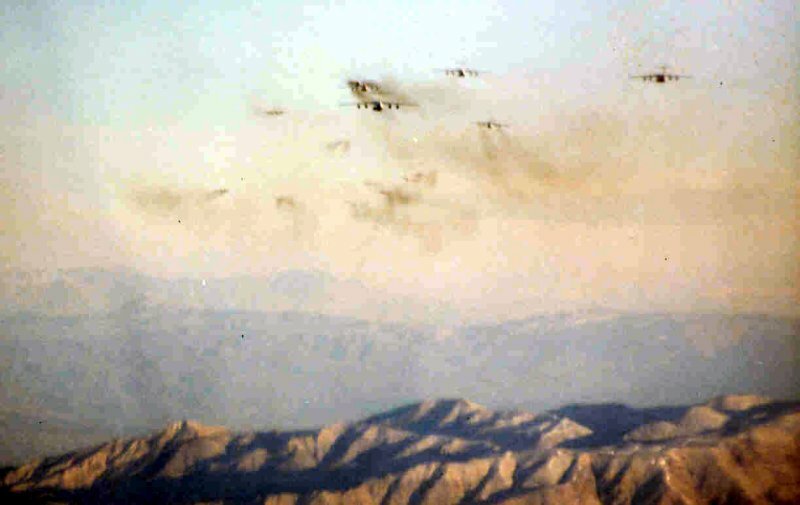 The first 4 are on the run-in and actual drop from the back of the aircraft while the last 4 are post-drop photos taken from the jump seat up front on the egress. 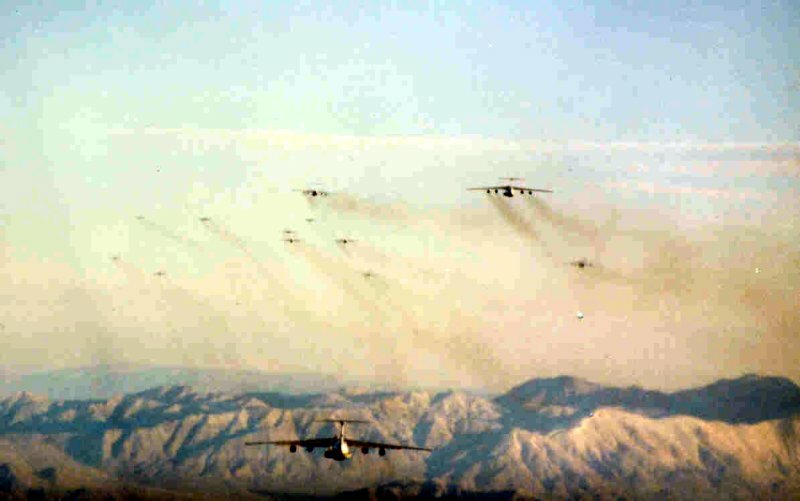 It looked like a scene out of '12 O'clock High's as the sky was filled with aircraft. 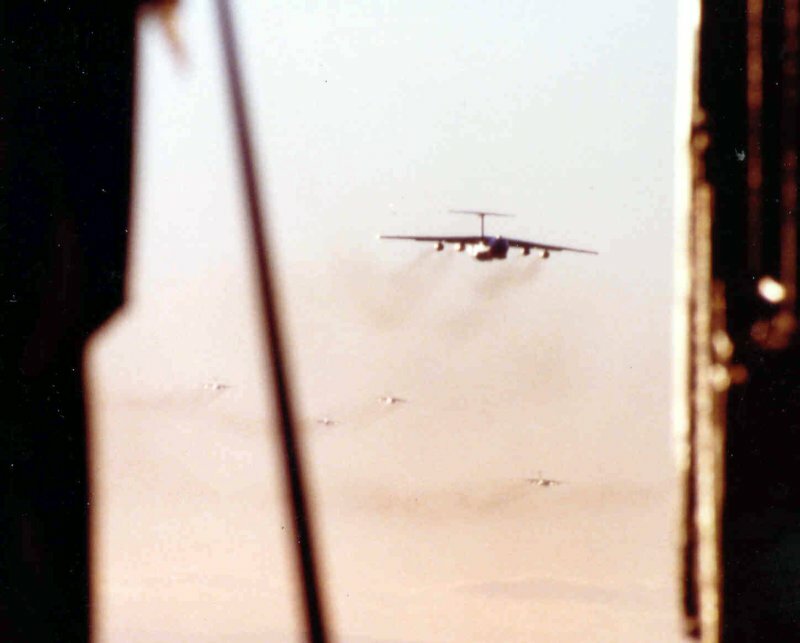 I was on number 17 as part of a 20-ship package from Charleston. 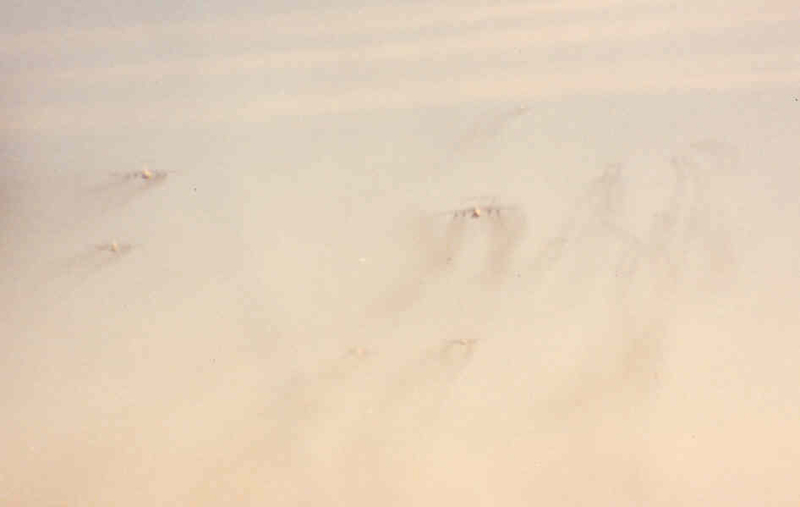 McGuire also had 20 aircraft and as we flew in one-mile trail across the U.S. they formed up with us. 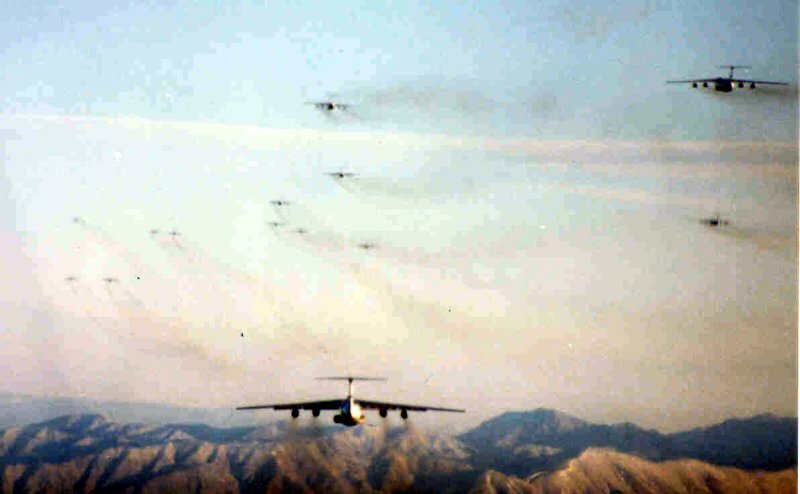 Somewhere over the South West another 20 C-141's from Norton, McChord plus one of two from Altus joined the formation. 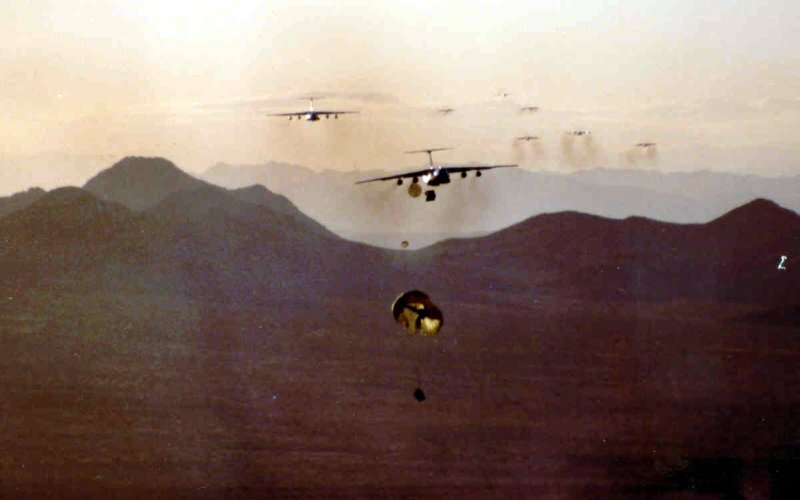 We penetrated at low-level near the Grand Canyon and did the drop near Ft Irwin, CA.